T-shirts from Carhartt WIP. Features a ribbed roundneck, short sleeves and a straight hem. Printed logo on the front. Comes in grey and white. 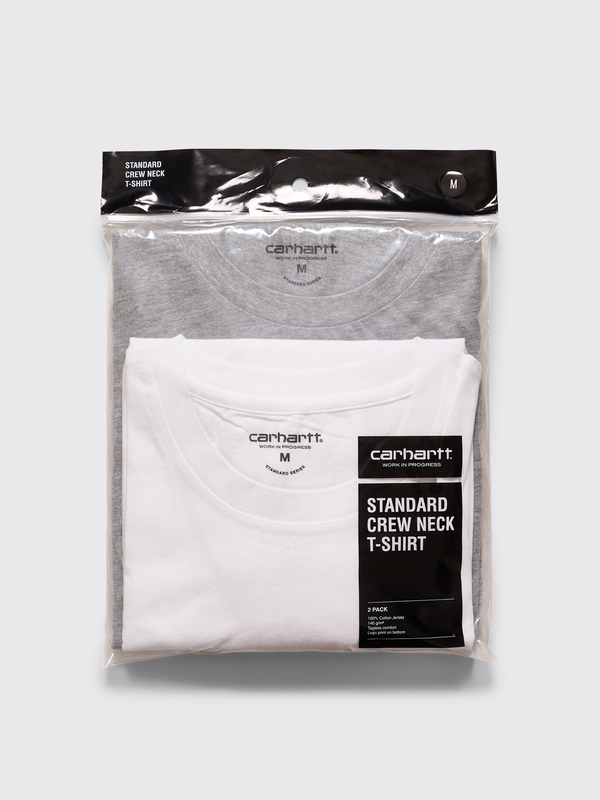 One white and one grey t-shirt. Made from 100% cotton.